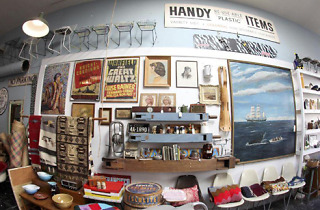 Run by a trio of proficient garage and estate sale scavengers, Mixed Nuts specializes in furniture and industrial décor from the '30s to '60s—especially Eames. 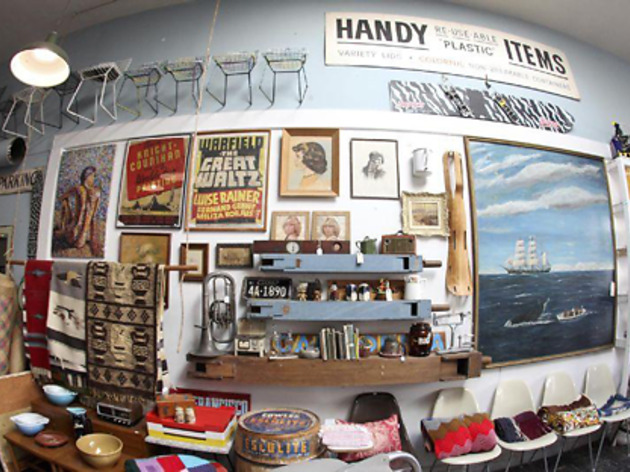 Run by a trio of proficient garage and estate sale scavengers, Mixed Nuts specializes in furniture and industrial décor from the '30s to the '60s. The owners have a particular penchant for Eames: Dozens of the designer’s distinctive, colorful chairs line the walls. Though the organization is haphazard—you may have to squeeze past a vintage school desk, a trio of dusty globes and a stack of suitcases to check out that '50s chrome diner table in the corner—the thrill of the hunt is part of this spot’s appeal. Since owners Anthony Williamson, Brandon Clark and Jon Rolston scour Craigslist sales to replenish their supply most weekends, the turnover is frequent. The shop doesn’t have a website, but its gorgeous Instagram feed more than makes up for it.